While the roof is now gone, this piece of history remain a landmark on the prairie near Ortonville, MN outside of the village of Johnson, MN. 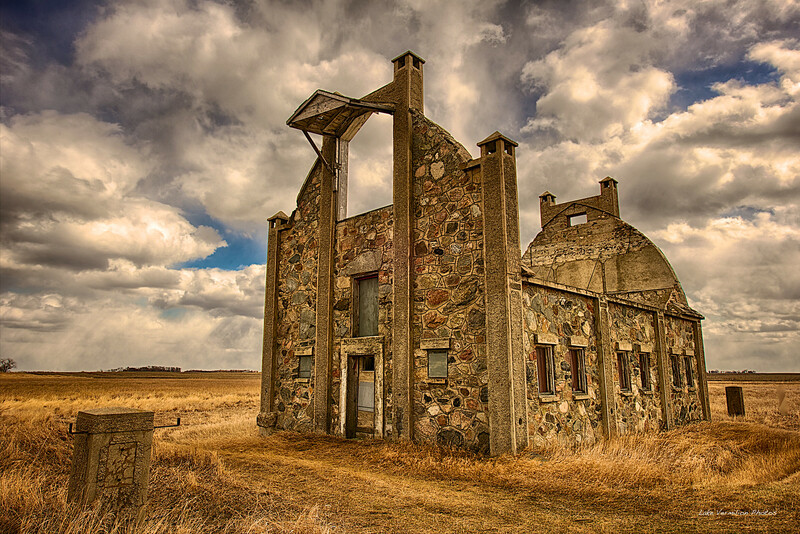 This stone barn was once part of a working farm but all that remains today are the walls. I hope that this structure is being actively preserved as it would be a shame to see such a unique structure continue to collapse. This is truly an amazing structure. So many barns across the country were made of untreated wood. Now through the years I have seen them fall apart and become part of the soil. This picture is very powerful and well composed. This is a great capture of an amazing barn. Bravo!